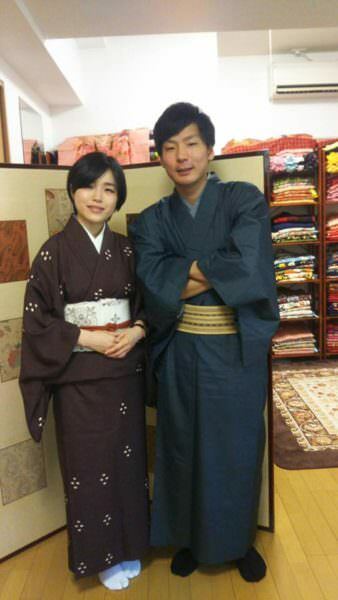 京の宿日記 > ご自身で自前のお着物を着付けてお越し頂きました。Kimono rental customers, she put on her kimono herself before coming ! ご自身で自前のお着物を着付けてお越し頂きました。Kimono rental customers, she put on her kimono herself before coming ! Kyoto became a great city for walking in kimono, right ? Kyoto est devenue une bonne ville pour se promener en kimono n’est-ce pas ?